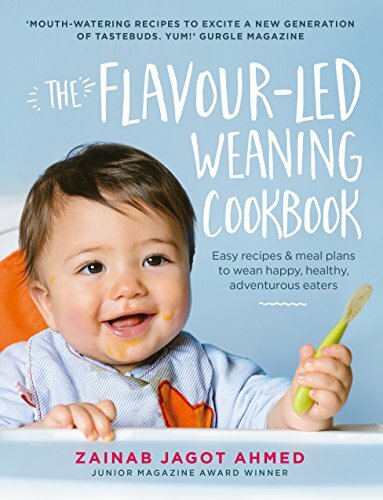 Before your little one’s exciting flavour-led weaning adventure begins, there are a number of foods you should be aware of that will need to be avoided or introduced later as a precaution, as some can be harmful to healthy growth and development. Have a quick read of the 12 harmful foods and ingredients to avoid when weaning your baby, all of which are supported by nutritionists. 1. Added Salt: Salt and high-salt foods (like stock-cube) should be avoided as it can damage a baby’s immature kidneys. Babies under 1 year old need less than 1g of salt per day, which they usually get from breast milk or formula. 2. Added Sugar: Babies are sweet enough! They don’t require any more sugar. Sugar can damage a baby’s growing teeth (even before the teeth have emerged) and lead to unnecessary and unhealthy weight gain. This does not apply to natural sugars from fruits, vegetables and in their usual milk. 3. Honey: Occasionally honey contains a bacteria that can cause infant botulism – a rare but very serious illness. Avoid honey until after your baby’s first birthday, and even then, use it sparingly – it can contribute to tooth decay. 4. Low-fat Foods: Fat is an important source of concentrated energy for babies and toddlers. Full-fat foods (e.g. milk, yogurt, cheese) are a must for baby until the age of two, after which you can think about introducing low-fat foods if baby is growing well. Be aware of higher sugar levels in low-fat products. 5. Whole Nuts: (excludes Nut Butters) Whole nuts are a choking hazard so shouldn’t be offered to your little one until she is at least 5 years old. Peanuts and other nuts can, however, be introduced into a baby’s diet in either a crushed or ground form from the age of 6 months. Alternatively offer baby peanut butter or nut butters instead, as long as your little one is not allergic – note: some contain added salt and sugar. Be cautious: discuss the introduction of nuts into your baby’s diet with your GP or health visitor. If there’s a history of allergies, asthma, eczema, hayfever in your family, you may need to wait until later to be safe. 6. Runny Eggs: Undercooked eggs may cause food poisoning (salmonella) so no runny yolks for baby just yet. Eggs are safe from 6 months but the whole egg (yolk and white) should be cooked thoroughly (your baby can eat eggs with runny yolks from 1 year). Eggs are also an allergen in some infants so keep an eye on baby when introducing egg for the first time. 7. Shellfish: Undercooked shellfish should never be offered to baby as it can cause food poisoning. Ideally wait until your little one is older (7–9 months old) before introducing it, well cooked, to baby. 8. Shark, Swordfish, Marlin: These fish contain high levels of mercury which can affect a baby’s developing nervous system, so avoid them. Offer oily fish instead: tuna, salmon or mackerel. 9. Wheat and Gluten: should be avoided prior to the age of 6 months as they can potentially trigger an allergy. 10. Cow’s Milk: Avoid cow’s milk as a main drink as it lacks the right balance of nutrients for infants under one. Continue with breast milk or formula until your little one’s first birthday – the amount will decrease as she fills up on more solid food and you can move to 500–600ml per day. It is then safe to introduce cow’s milk as a main drink but it must be whole milk only. Cow’s milk is suitable to use in cooking from 6 months. 11. Tea and Coffee: Caffeine not only disrupts a baby’s sleep but also reduces iron absorption, which can be detrimental to a baby’s health and can potentially increase the risk of anaemia. Offer sips of water with meals instead. 12. Squash, Flavoured Milk and Fizzy Drinks: These drinks aren’t necessary for baby. They contain added sugar, which can lead to both tooth decay and weight gain. Offer sips of water with meals instead. 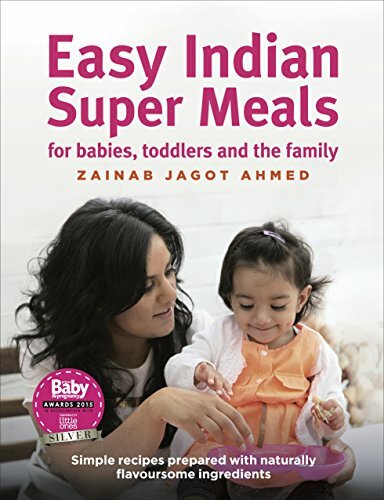 Read my article Must-Know: Achieve a Balanced Diet for Your Baby for easy to follow nutritional information, and general details on what you should be offering to your little one during the weaning journey. If you already know, head over to my yummy recipes and give them a go instead.